Google is working on advancing its Google Glass technology, while also working on the concept of a driverless delivery truck. Google, which holds a myriad of patents, was recently granted two U.S. patents, one for a more rugged and flexible version of its computerized eyewear, and another for an autonomous delivery truck. 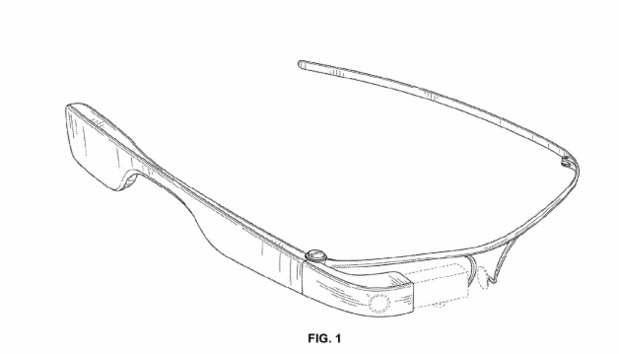 The company received a patent for a hinged display device for its Google Glass smart eyeglasses on Feb. 9. The hinged device would enable the display screen, which sits slightly over and above the user's right eye, to be flipped up and out of the way. The display also is being built to be more rugged. A Google spokesperson would not comment on the patents. "We hold patents on a variety of ideas – some of those ideas later mature into real products or services, some don't," the spokesperson said in an email to Computerworld. "Prospective product announcements should not necessarily be inferred from our patents." While the patent does not specify that the new Glass technology is meant for a version of the device that would be aimed at enterprise users, industry analysts say the technology would be perfect for a version of Glass aimed at business. "It's nice to see Google build a product that would be so well-suited for enterprises," said Zeus Kerravala, an analyst with ZK Research. "Typically, they try and move consumer technology into businesses, but in this case it seems like they are thinking of the specific needs of enterprises -- like better quality glass." Google gave the world its first look at Google Glass during its annual Google I/O developers conference in 2012. With a processor, memory and a display screen, users wearing the glasses could take photos and video and then upload the data to social networks. They also could use the wearables to view news alerts or maps of a city they're walking through. While Glass received wide attention, the device was criticized over privacy issues. Google eventually pulled back the glasses for to redo their look and functionality. The new patent appears to offer a look at some of the work Google is doing on its computerized glasses. "This looks slightly more substantial," said Ezra Gottheil, an analyst with Technology Business Research. "I think the Glass project is more business-oriented than it was originally. A hinged display makes Glass more flexible, more fit for a variety of applications." If a business user wearing Glass is meeting with customers, for instance, having the display down in front of an eye might make the customer uncomfortable. Being able to flip it out of the user's line of sight makes it easier to talk with someone Gottheil said. Google also was granted a patent on Feb. 9 for an autonomous delivery platform. The patent describes a driverless delivery truck with separate secured compartments to hold whatever the truck is delivering. The customer receiving the delivery would use a keypad to type in a code that would unlock the compartment so the customer could take out the delivery. "This is a good idea. Pizzas can't drive themselves," Gottheil said. "The customer has to take the delivered object out of the truck, which means that they have to be waiting for it, so I think it would be used locally. Take-out food is an obvious application." Kerravala added that this is a great use for the self-driving car technology that Google has been working on for several years. "I don't think customers care how they get their delivery, but this can help businesses lower costs and improve shipping times," he said.